Hi, this is my first post. I have 9 mice currently and I love them so. My problem is that they live in 4 different cages. I just bought two exo Terra 40 gallon reptile enclosures. I heard that they had ventilation and are great for mice. going to be hurt! They're all very dear to me and I've hand raised half of them. I've switched up some bedding and wheels. I've only bonded a pair of mice before and I would love some advise. What I'm trying to do seems impossible with so many seprate mice but I want them to be happy and together. Any tips! Any advice! I would be so grateful for. Welcome! Intros can certainly be nerve wracking. It helps to remembers that a lot of squeaking, chasing, mounting is very normal and most female mice work things out eventually without anything serious happening. Signs that things have gotten too serious are blood being drawn or severe bullying where a mouse is so beaten down they're kept from eating/drinking by the other mouse/mice. 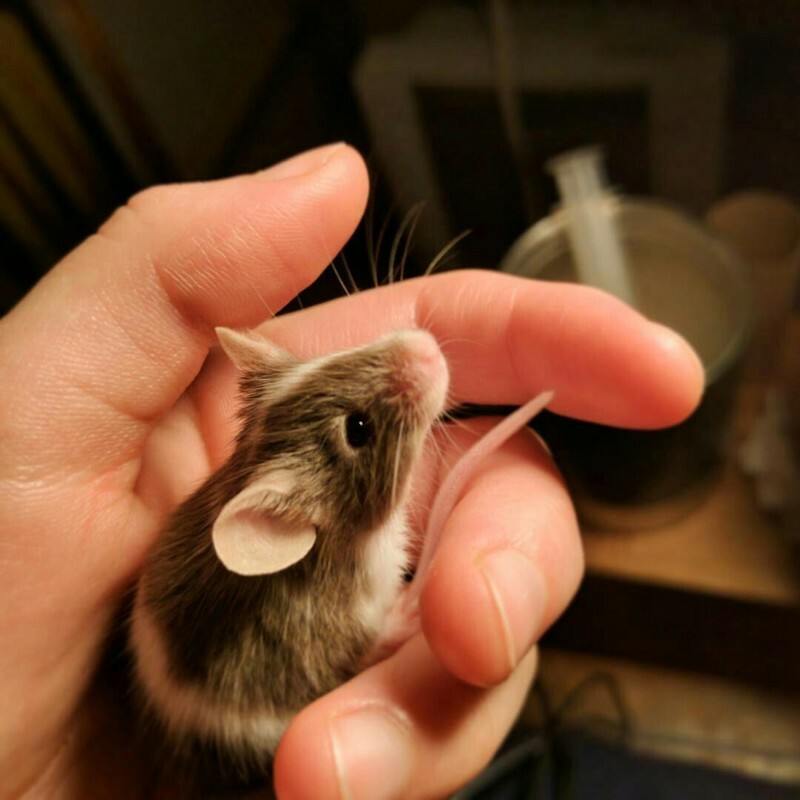 There’s more info on introducing mice properly here: http://www.petmousefanciers.com/t19-keeping-mice-together-introducing-them. I agree with your idea of having 2 groups -one in each exo terra. Smaller groups (3-6) are generally easier and though the cage calculator says 9 are ok in a 36*18 inch tank (I think that’s the size you have? ), I personally feel that’s a bit crowded for permanent housing. I’ve had 6 girls in my 40 breeder and I felt like it was maxed out. Everyone will have a different opinion on that, but that’s just mine for whatever it’s worth. Thank you so much. I've been introducing my girls slowly and it's going well so far! Some squeaking and nipping. That is the tank size I have. I will be keeping them in two groups in two exo terra tanks. I have a large art desk that I grow pots of grass and keep lots of obstacle courses for the mice. They love to play on it while I sketch them. I grow trays of sprouts for my mice too! They're so entertaining and some of my favorite pets to keep ever! I'm glad I've got things almost worked out! I do have one more question if you don't mind. How long does it normally take before they can live together? I mostly introduce in the play bin, so as long as everything goes ok there, I move them all into their home after about 30 minutes or so. If you're introducing in a temporary smaller home instead of just plopping them in their larger more permanent home, I would give it about a week or two with no problems.